The State Attorney has intervened, requesting the court not to allow early release of the rabbi who was convicted of bribery. . The State Attorney has pleaded with the court not to shorten Rabbi Yoshiyahu Pinto's jail sentence. The prosecution has claimed that the Parole Board made a mistake when it decided that Pinto had proven himself worthy of parole. In their opinion, the severity of Pinto's crimes, coupled with the confidential information that the police were provided with, creates a situation in which parole would be dangerous. According to the State Attorney, in this situation, the Parole Committee has not given enough weight to the facts that were put on the table, and has not properly balanced the two sides of the issue. This creates a situation in which the lack of certainty requires the State Attorney to interfere in the legal proceedings. Pinto, who expressed deep regret for his actions, has said that he feels "like a criminal." "A number of people left religion because they saw a rabbi who gives bribes. I am no longer a rabbi and I will pay for my mistakes. I have left public life and I am not a rabbi of any sort until I will feel myself worthy again, and that will definitely not happen in the next year or two," Pinto said. 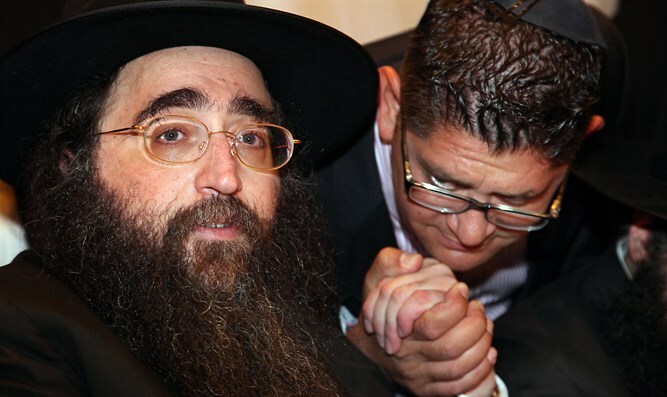 Pinto has also declared that he will not continue to serve as a rabbi. He added, "My shame and disgrace are genuine as I went and smashed my entire life. I ruined everything that was important to me. I say to the parole board what I told Judge Brown, I stand by my word when I say that I am embarrassed at my behavior. I expressed my regret from the depths of my heart and sat with the social worker for 50 meetings....There is no rabbi Pinto anymore, I do not exist in the world. I have expressed my deepest regret and I want to repent."